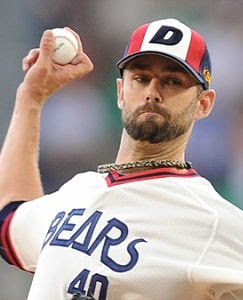 Recently I decided to try and make a complete list foreigners who have graced the baseball diamonds of Korea. I must say at times it was interesting to read where these guys have been before coming to, and leaving from, Korea. 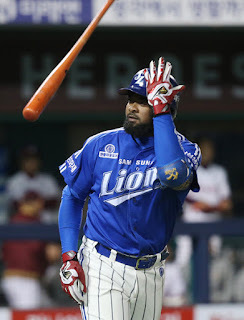 When you're looking at years of players coming and going from the KBO, thing like what countries they are from, how old they were when they arrived, how they performed and how long they stayed become interesting, at least for me. 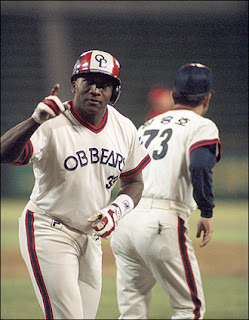 I have also added this information to the menu under "KBO Foreigners." I used baseball-reference.com to piece together a majority of the research and the occasional online article that might have mentioned a name or two I didn't see on B-R's website. To date, I have found 316 foreign (non-Korean) players. This includes the new players who have signed with teams for the 2017 season. If you happen to know any players who are missing from this list or see a discrepancy, please email me at dan.skrezyna@gmail.com or leave a comment on this post and I will add them to the list. For the updated list, go here. I just found your blog. That is quite a list! I'm surprised more Japanese players haven't moved over to Korea, but I do recognize a few players on the list. Thanks for sharing! I know you! I'm skrezyna23 on CU. This list will be continually updated as I learn of more players. Thanks for looking.